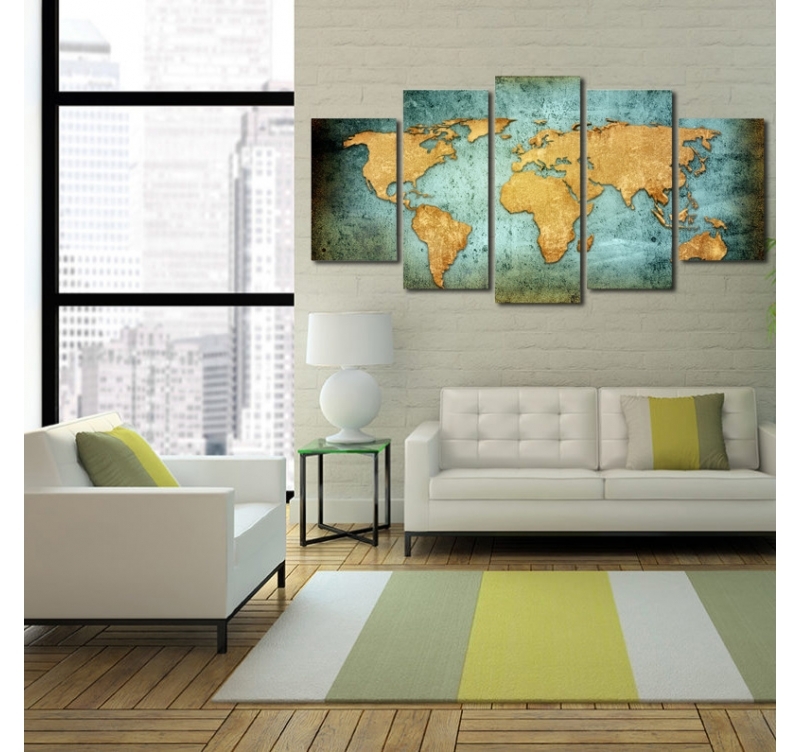 See the big picture with this printed canvas of the world map. In several panels, this art frame is the perfect piece for all travel lovers. The dimensions of this design frame are 150 cm x 80 cm (30x50x2pcs; 30x70x2pcs; 30x80x1pc). 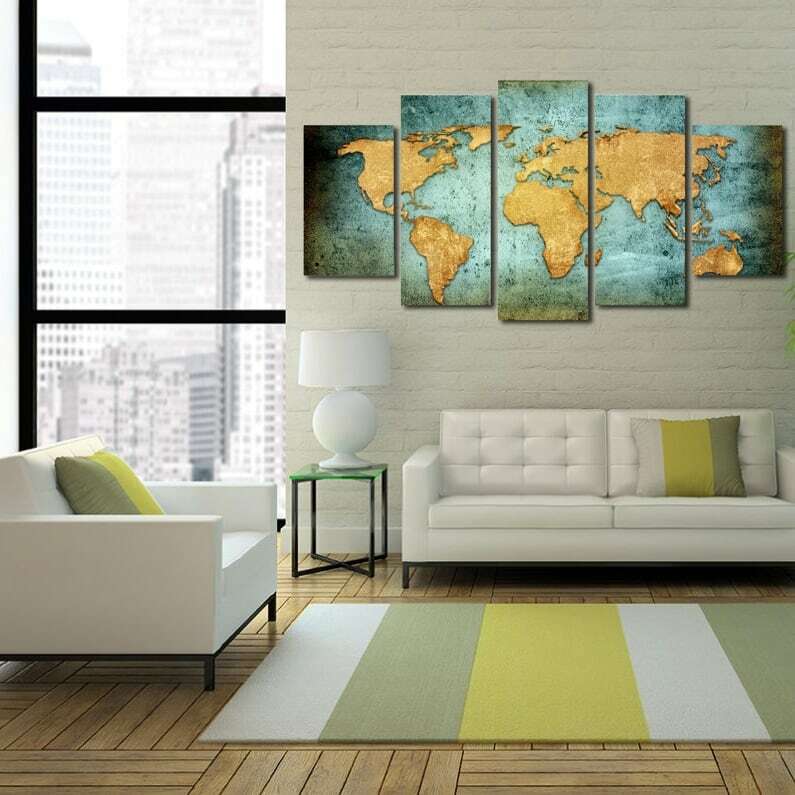 Delivery around the world for this wall canvas. Nothing is more likely than the world map in a modern canvas. 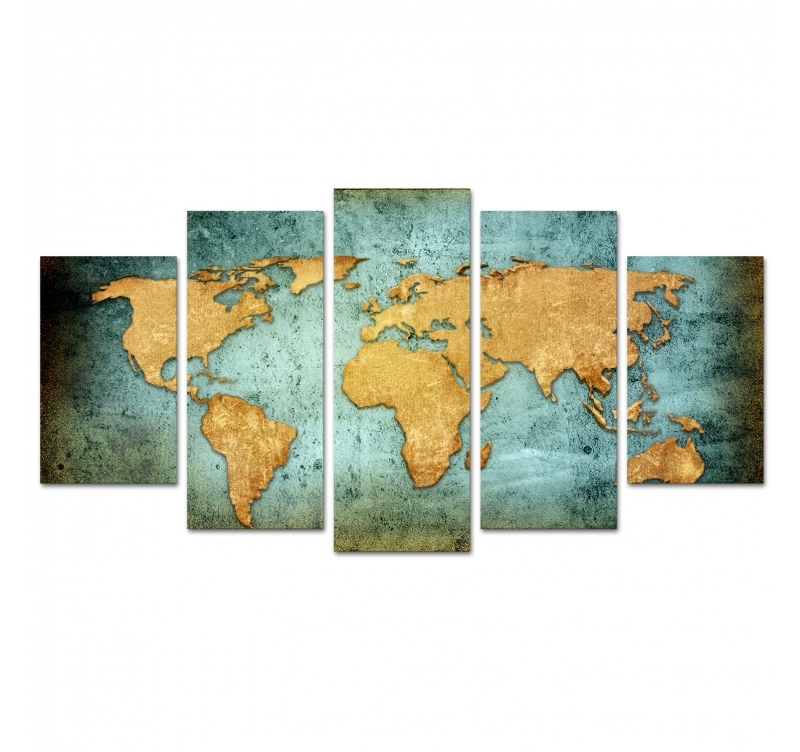 With 5 distinct panels, this XXL frame will allow you to cover one of your walls with the world map. On a blue background with countries in yellow gold, this frame will be the decorative design touch you needed to achieve a stylish interior. The assembly of these colors gives you a vintage creation of the world map that will complete a perfect wall with metal decorations or a contemporary clock. All our printed canvas are printed on cotton canvas and stretched over a frame of Canadian pine wood so that the frame is ready to be hung. 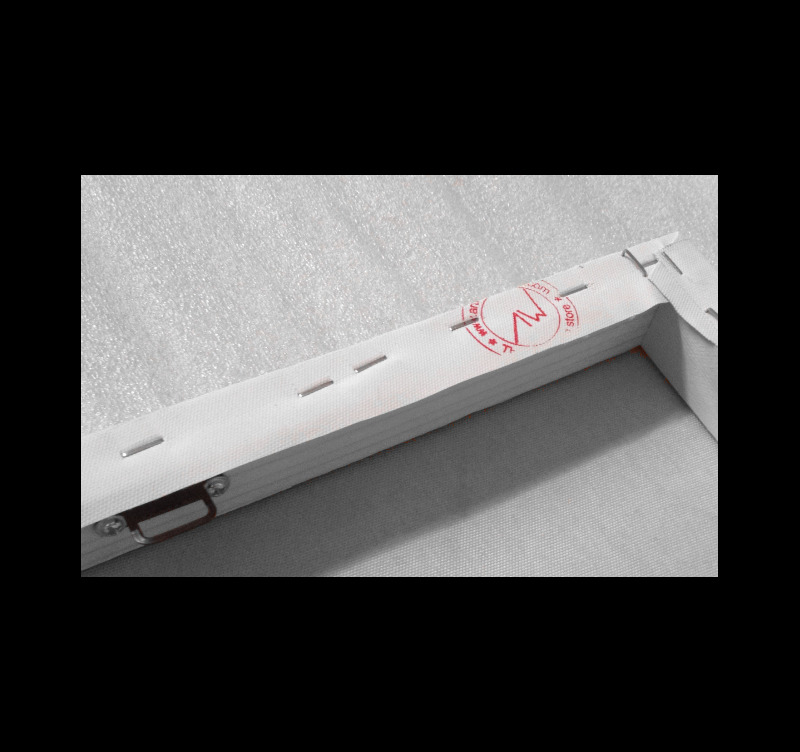 The world map frames are delivered in packaging with cardboard corners, protective cardboard, as well as hanging hooks.